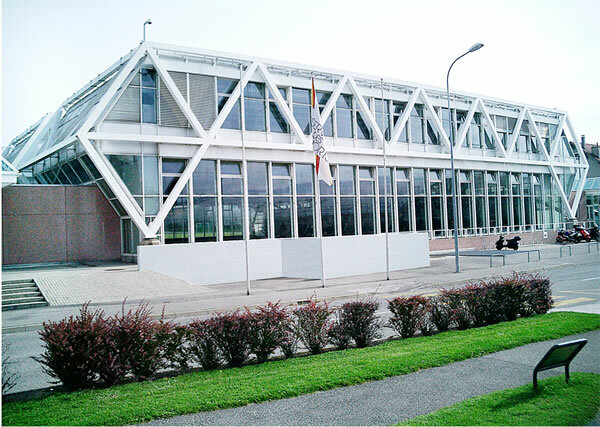 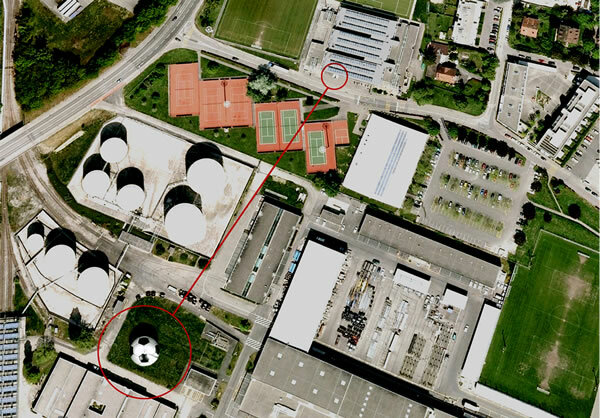 Project for a sport centre located in an industrial area, on the site of a former gasworks. 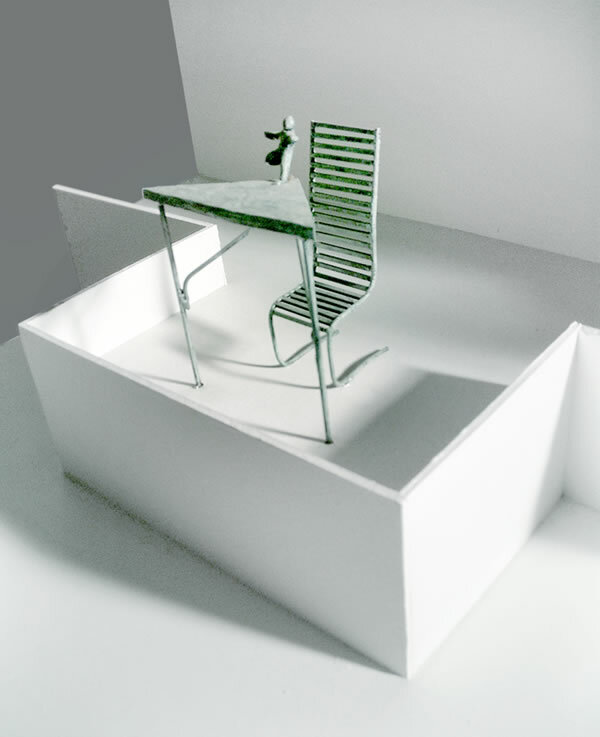 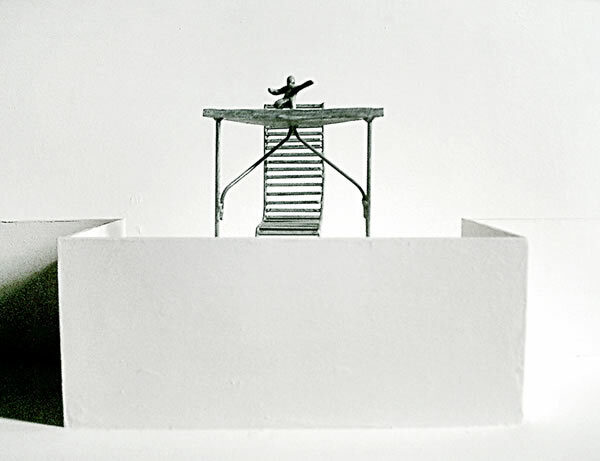 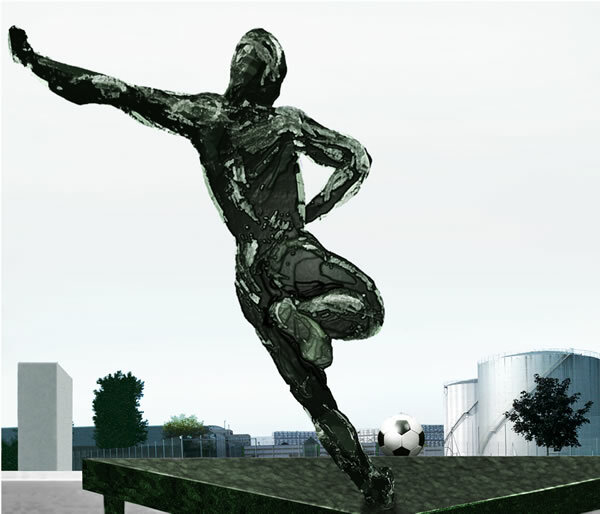 The piece comprises a metallic chair and a table on a corner of which stands the small bronze statue of a footballer, poised as if kicking a ball. 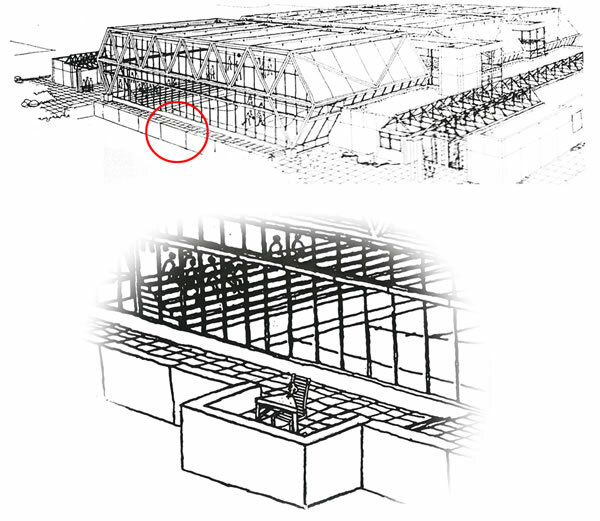 These elements take place on a lateral extension of the path running in front of the building. 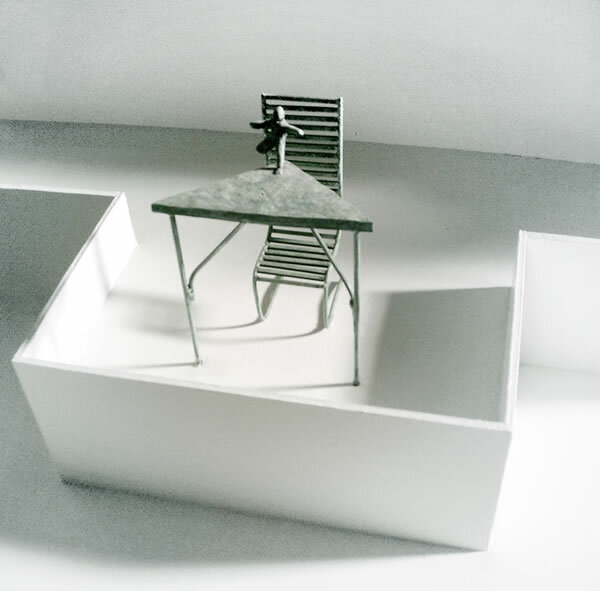 The purpose here is to establish a link between the main building and its surrounding landscape, inviting the viewer to take part in the work itself. 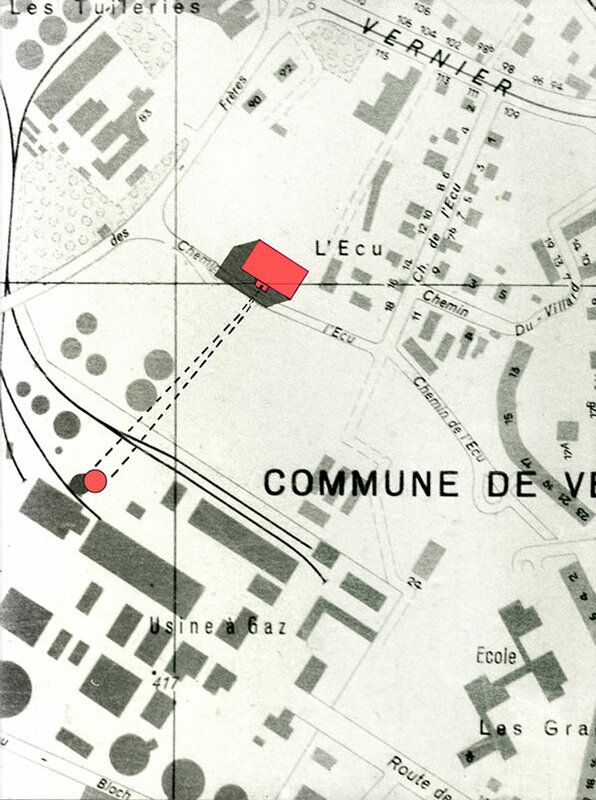 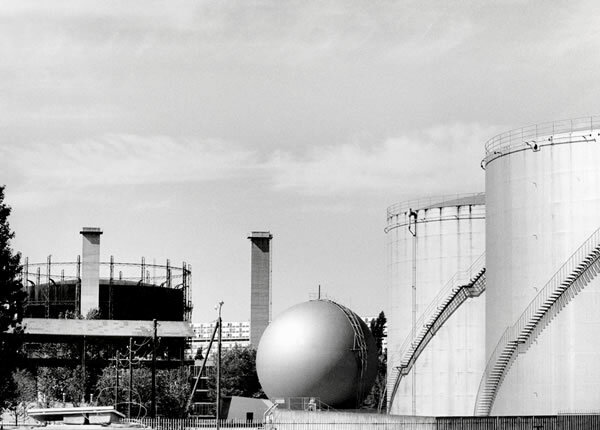 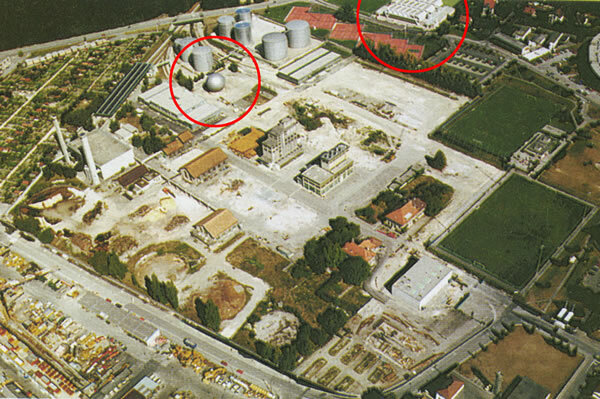 The ball itself is represented by a remaining gas tank, located a few hundred meters away. 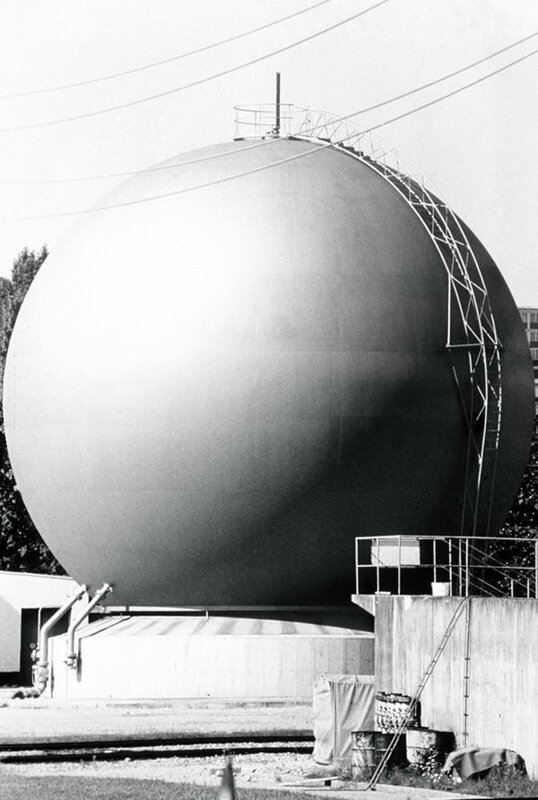 This sphere (18 m in diameter) will be painted with the characteristic pattern of a football. 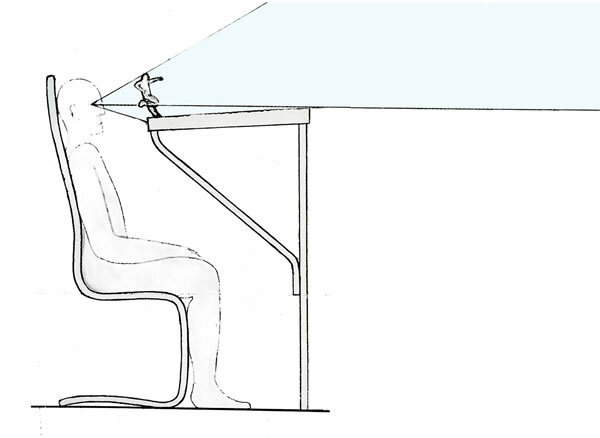 For the viewer, to sit on the chair brings about a change of perspective. 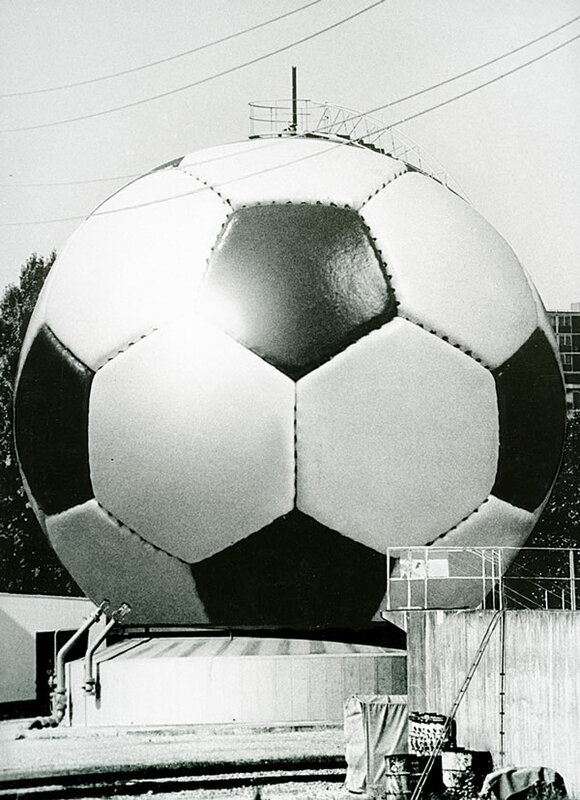 Close to his face, the statue becomes very big and the ball, because of the distance, small enough to create, foreshortening the scene, the illusion of a normal situation.